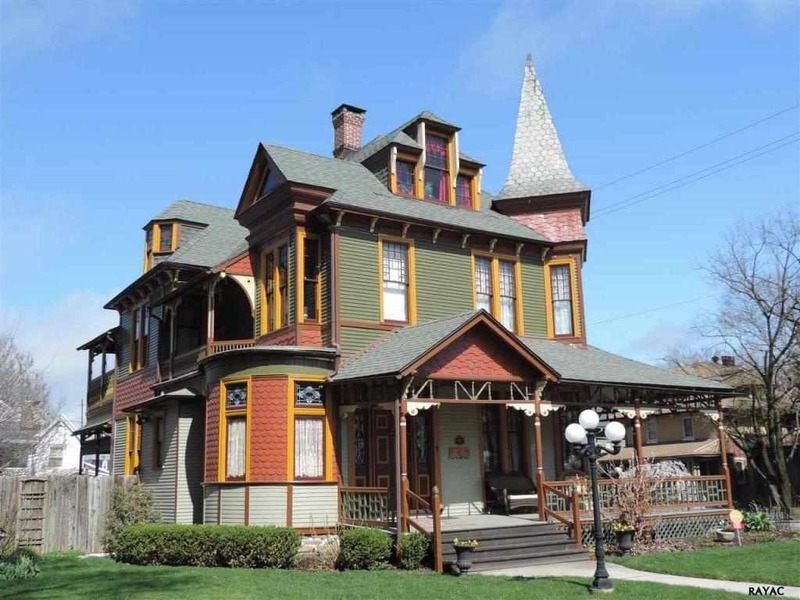 Amazingly restored Queen Anne in all of York, no detail has been missed. 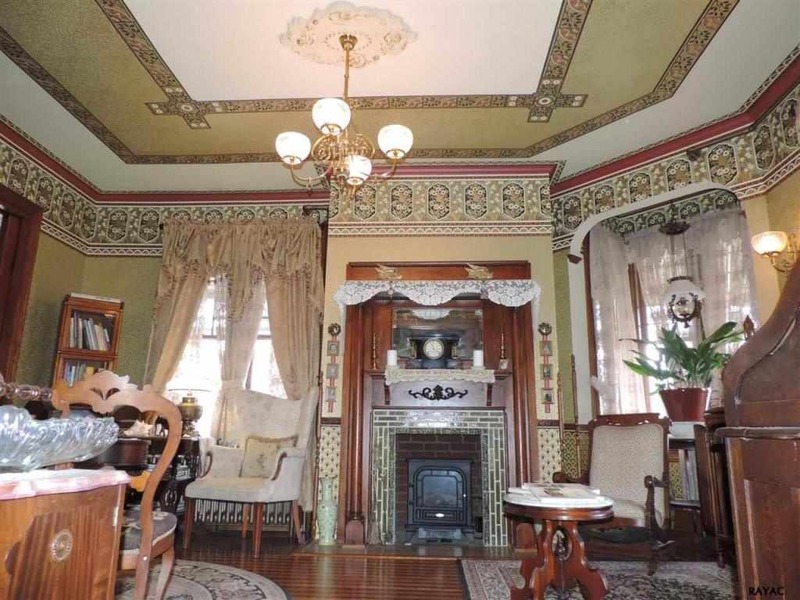 Once seriously deteriorated & declared uninhabitable now restored w/ many modern amenities. Wood floors consist of 5 types of wood. Pocket doors, period lighting, hardware & door hinges have been added, but true to style of home. Sprinkler system in entire interior & exterior of home. Currently a licensed bed & breakfast. Property is taxed w/ reductions until end of 2018. Unbelievable transformation. a definate labor of love and it shows inside and out. Kudos! Absolutely beautiful!!! My house is 110 years old and would love to be able to do this for my home. Thank you so much for sharing so that others can see what can be done to restore some of our Historical old Homes!! I absolutely love this house and have always wanted to live there or just stay there for a couple nights. Its amazing! This is in York?! I’ve never heard of it and I usually follow old homes being restored in my area. I’m amazed I missed this one! I’ll have to go find it. I’m not a big fan of the color scheme though. I think they should’ve just re-did the white paint. It would’ve looked like a magical princess palace or maybe a wedding cake. Wish I could’ve seen it in it’s heyday! The new exterior paint scheme is not period correct, but reflective of the “painted lady” look which became popular in the 1970s. The house, originally, would have likely had a 3-color paint scheme (one color for the walls, another for the trim, and black sashes), and likely in earth tones. That said, I think the current colors are way way way better then white. Agreed, Ross. While many of today’s old house owners go crazy with exterior colors (especially on Victorians with ornate exterior ornaments) they often paint the interiors in anemic whites and off whites. 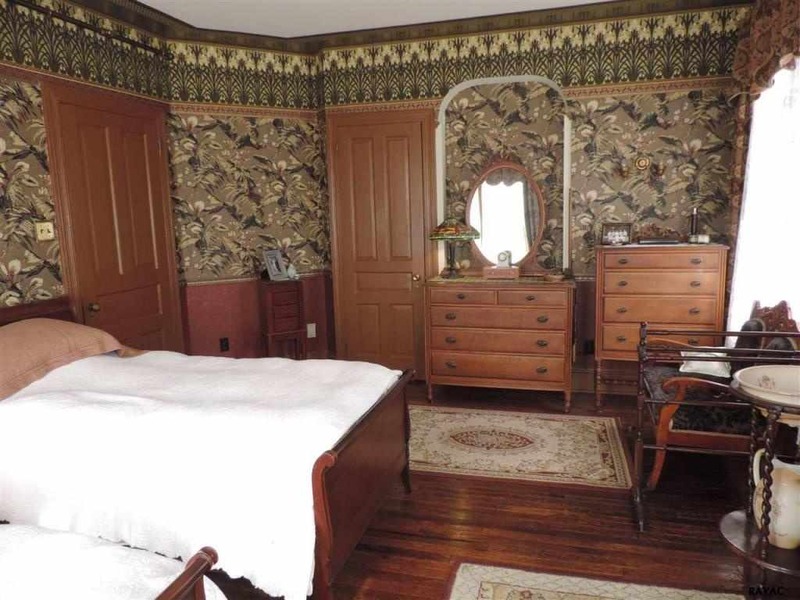 Inexpensive wallpapers allowed Victorian interiors to be a riot of colors and patterns so they look stark in monotones. 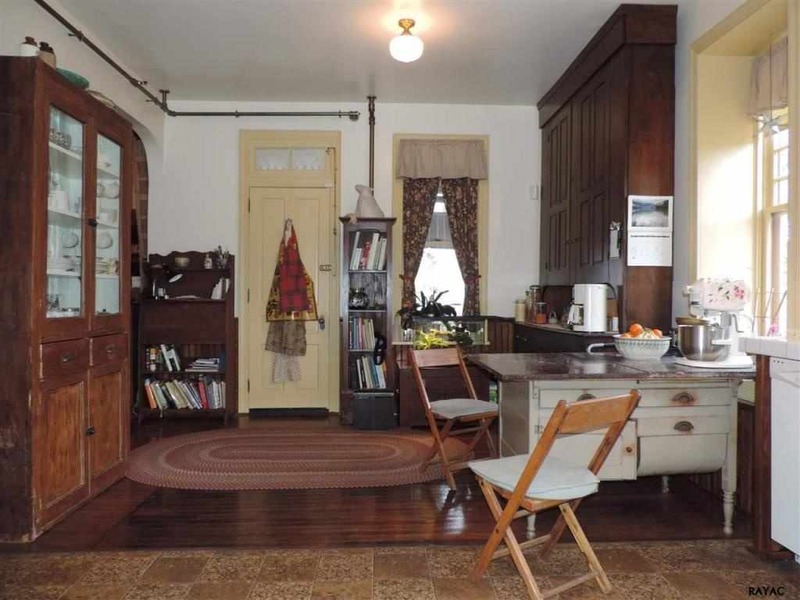 This house has had an almost unimaginable amount of work put into it and does not seem excessively modernized with lovely original details. I personally would not have wanted to have painted the exterior of this one. I bet the prep work alone took months to complete. 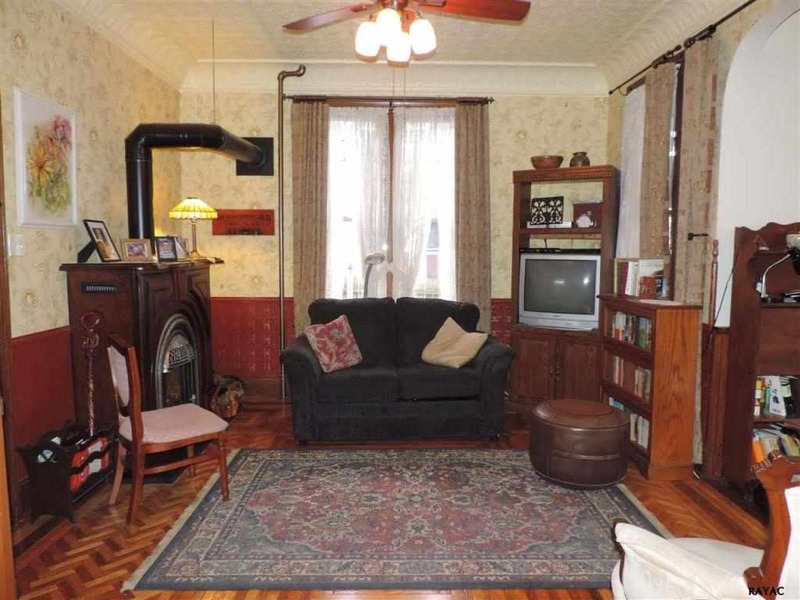 I find it mind-boggling the selling price for this house has dropped to $285,000! 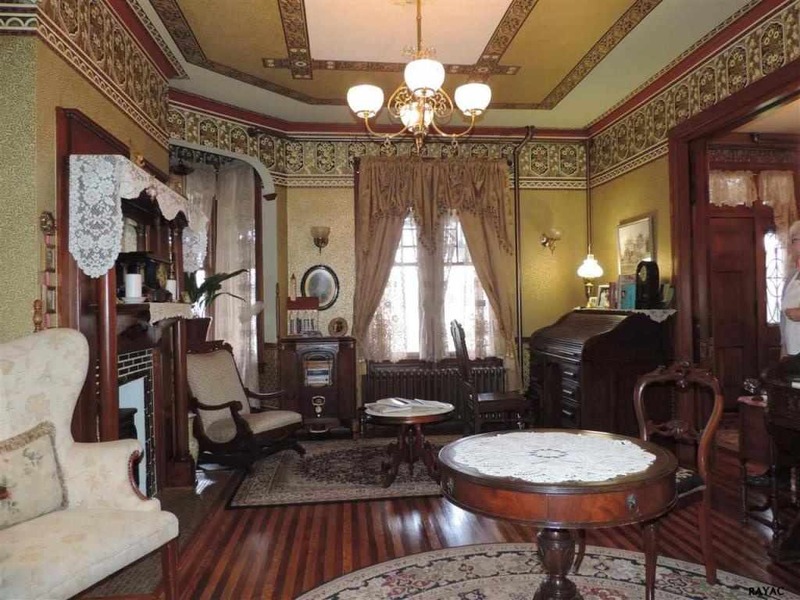 Considering the massive amount of work that went into the restoration, it doesn’t seem plausible the Leaman’s will see a return on their amazing investment, and hopefully someone with a love for these incredible old Victorians will seize the day on this steal! 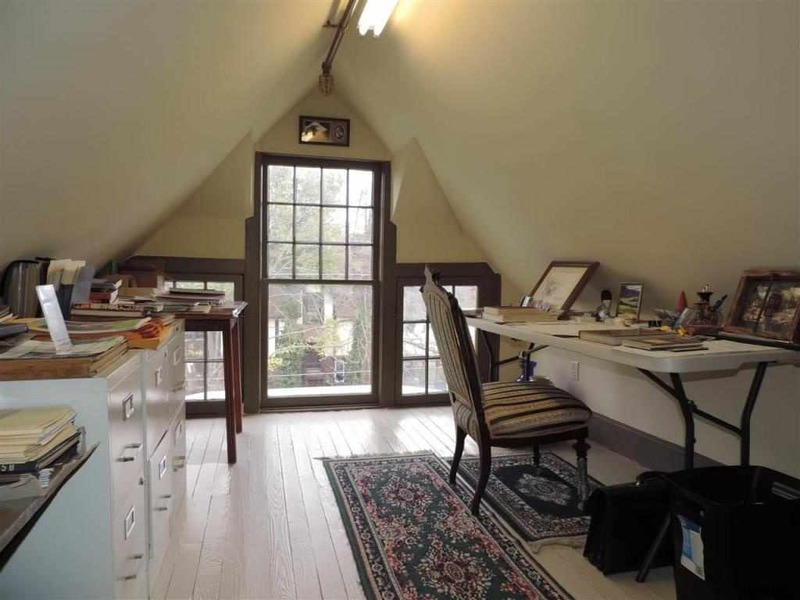 We live west of Boston in a modest 7 room/3 bedroom colonial on an acre where the selling price in this area is double what the Leaman’s are asking for their 12 room home. Unbelievable! Actually, the multi colored exteriors of Queen Ann’s are reflective as far back as 1860 and 1870’s … the term “painted lady’ is relatively new only beginning in the 1970’s…. but this house could very well be color period correct in it’s colors… as an all white queen ann simply would have been viewed as to plain and ordinary. Hey Ross, is that the Williams Tower in Houston? I retired from Williams in 2015 in Manassas VA. 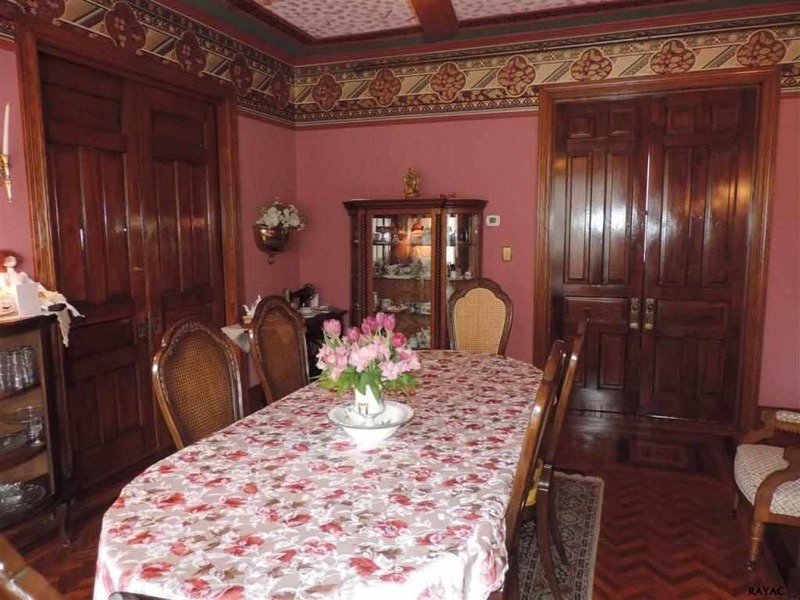 When we renovated our 1888 home in 1985, it had not been completely repainted in 53 years. On what little paint was left on the structure, it had three complete paint schemes that were easily able to be identified accurately. 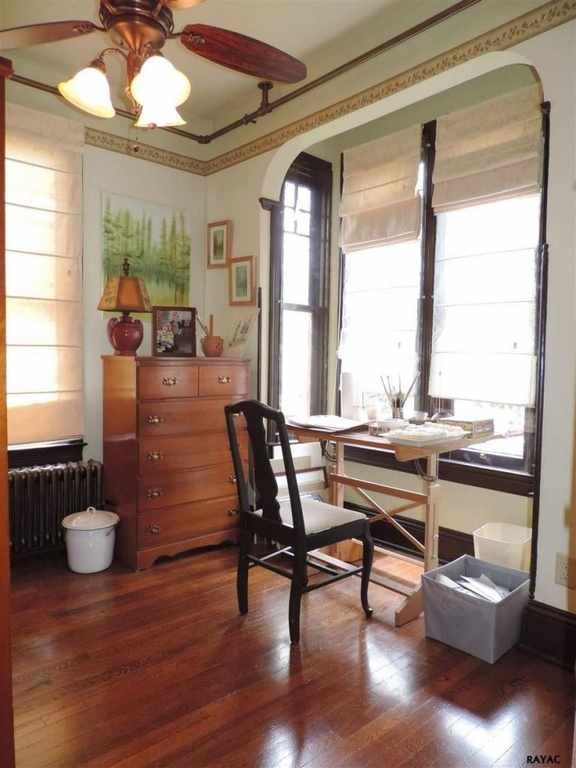 The top layer, painted in 1922, was just white with green trim and sashes. Under that layer was a persimmon orange color, also with green trim and sashes. The bottom layer was off white for the main body, with a belt course and gables of scallop shingles in a sunflower yellow, the trim was deep rich medium cornflower blue accented with a vivid almost burgundy purple wine, and all the sashes were a very dark blue. Four main and trim colors, dark blue sashes. Not a spec of black anywhere on the house. We also found several of the corbels and flat sawn balusters from the original front porch, which was expanded in 1903, in the crawl space. Those all had the original paint still entirely intact. The corbels were blue yellow and purple wine, and the balusters were off white with edges and design penetrations in the purple wine. There were indeed painted ladies, some originally had even 5 or more colors, it was not just a popular 1970’s revival trend. Our home is not only nominated for the National Register, but it is also photographed and featured in the book Daughters Of The Painted Ladies A Victorian Resplendor. The cream brick Victorian we also own, started in 1838 and that continued to be altered and expanded into the 1890’s, originally had only deep green trim on the oldest section of the house, but when it was highly ornamented in the 1880’s they added multiple contours of trim, it once had 16 bright yellow pillars ringed in 3 more colors from base to capitals. 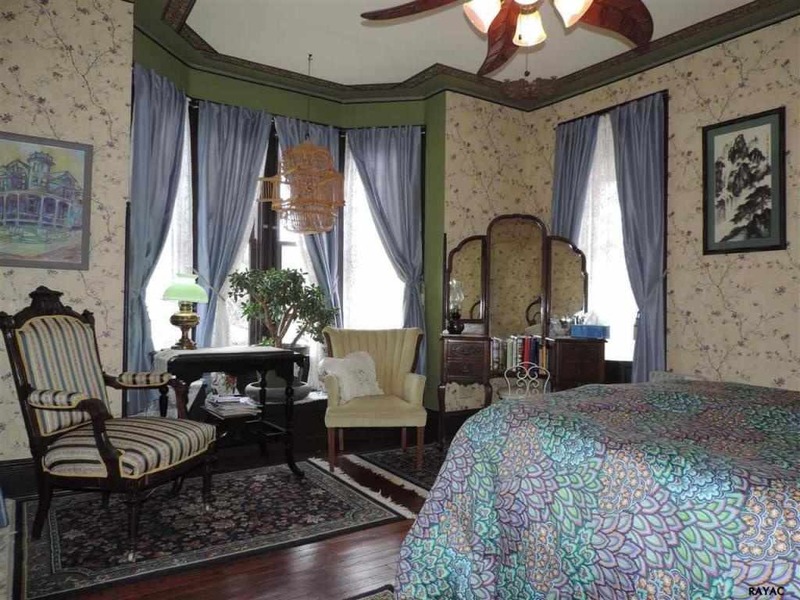 The trim in it’s high Victorian hayday was painted bright yellow, dark red, blue and deep green. 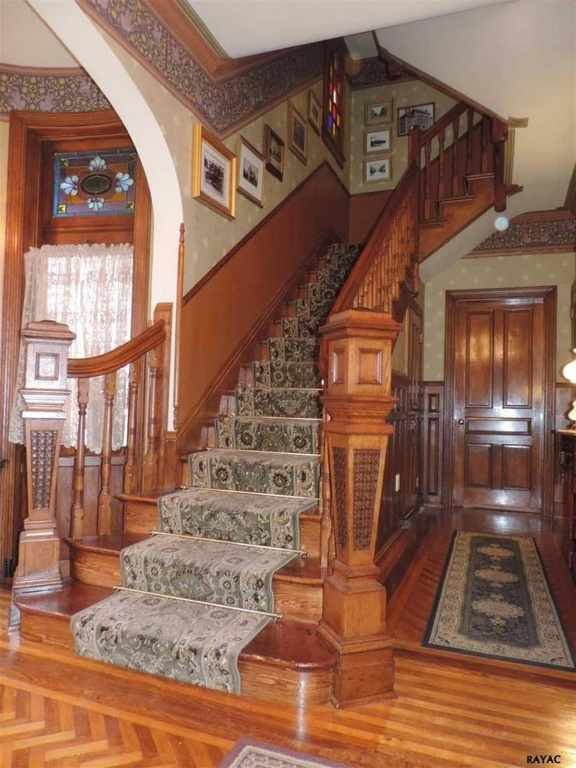 by the 1920’s the trim and sashes had been repainted just dark green and the pillars and balusters had been painted just yellow with a ring of the dark green. Both our homes were built by fortunate and flamboyant families that spared no expense in ornamenting their homes to stand out and make a statement. There were no rules other than what your painter was willing to mix from his pigment kit. True that average homes were often just three colors, one of them being black sashes, but to say this home would not have had more than three would not be accurate. 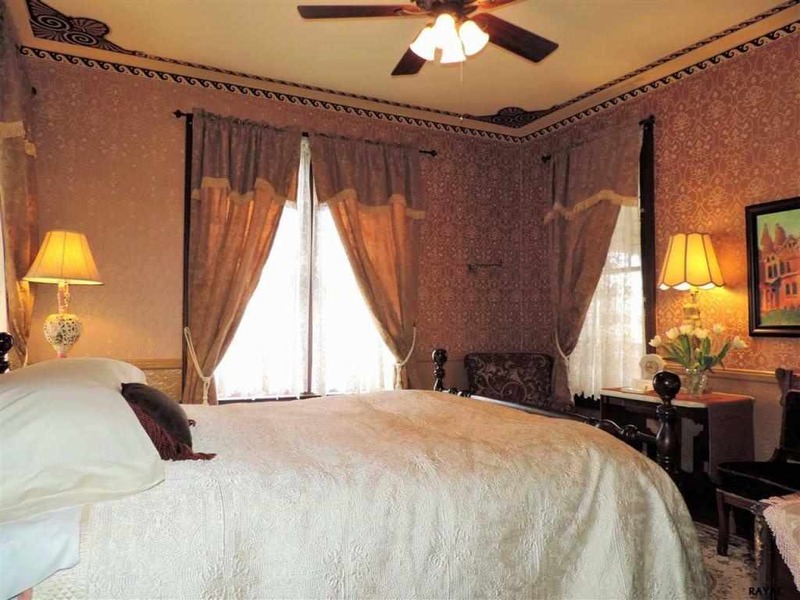 I have worked as a specialist in Victorian renovation since 1981 and have researched the original color schemes on many, many, many Victorian homes of this age. Whether the colors of this home are original or not, they are lovely and appropriate on this home, they are all colors that are listed on historic original color mixing charts that I have collected over the years, and with the extensive ornamentation of this home, I would not be surprised if it had even additional colors at one time. 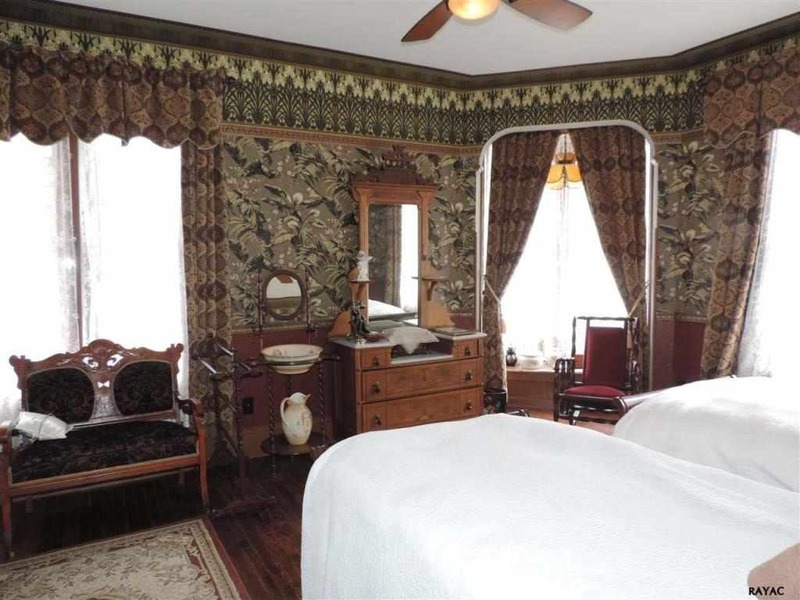 The interior rooms with the period papers are outstanding! i think these people have done a wonder job with their renovations. As a professional restoration contractor for 37 years, I respectfully disagree, I have seen many that had original scheme layers that included as many as five colors. You were only restricted by the skill, willingness, and contents of your painters pigment kit. I love this house’s color scheme,and the colors are all appropriate for the period as well. In its heyday, it would never have been painted white. 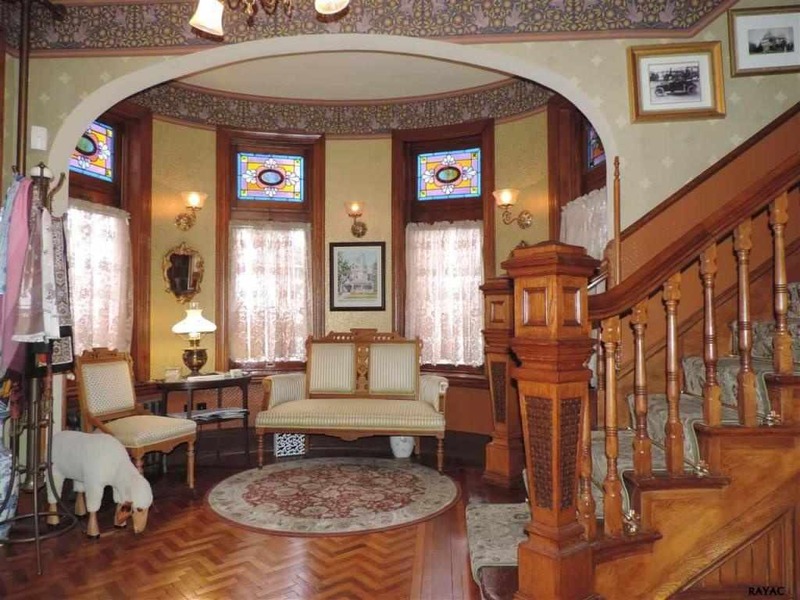 Late nineteenth century styles rarely even included white in their schemes. True Jane,it was also very hard to keep clean in the days of coal burning and smokestacks everywhere. Our house is in what was a milling area by the river where the lumber came in and the whole area was covered in sawdust, ash, and soot. All the alleys were paved with the stuff. There are so grand homes in our area, almost none were white originally. 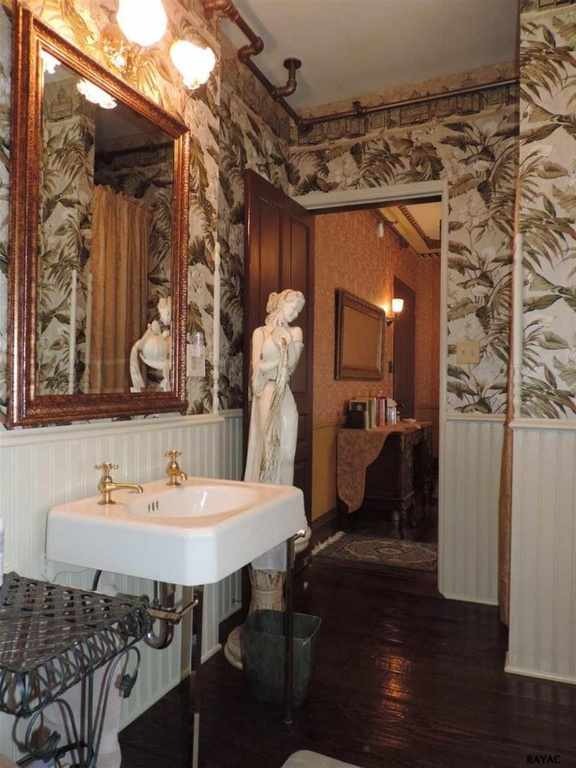 I was surprised to even find a white in the original color scheme of our painted lady, but it was a cream white. I think they used it for the base because it makes the house appear larger, and it contrasted so nicely with the sunflower yellow on the ornamented siding work. Interesting house! The paint scheme looks as if it could have used a few less colors. I might have reversed the colors of the body with the dark color on the bottom and the lighter on top. This is probably one of my favorite homes I’ve ever seen on this site. I’m so glad someone saw past all the peeling paint and decay and saved this old lady. 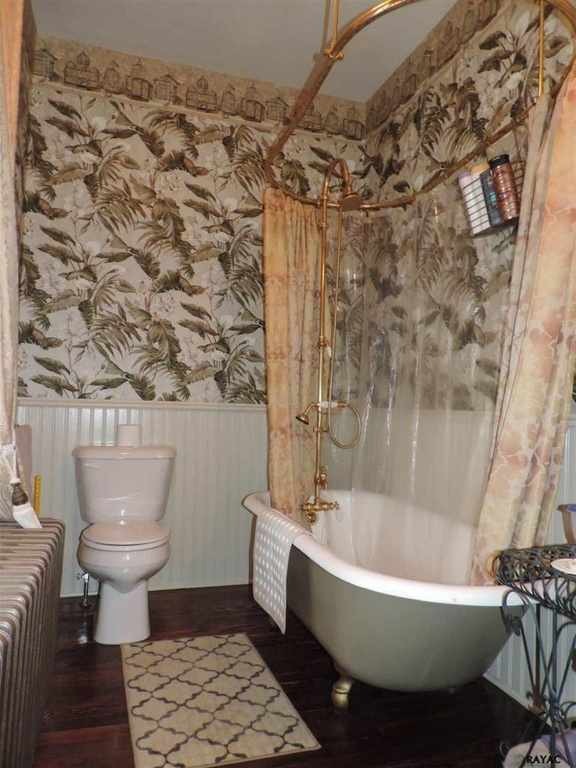 Such a faithful restoration and tasteful use of patterns and colors throughout. Not too little, and not too much. Just right. As far as the paint on the outside of the house goes, I think it’s perfect for showing off the architectural details that might get little notice if painted in a single color. Wow! I don’t know how someone could leave this beauty after putting so much love into her! She is definitely restored to Queen status now! I love that they have even done the surrounding landscaping so beautifully. If only York weren’t on the entire other side of the state from me! I just looked at the street view and the colors are almost EXACTLY like a house almost directly across the street from this house. Another one done in the primarily mustard color of both of these about a block away has me scratching my head, lol! This neighborhood is full of beautiful Queens,though! Uh-may-zing! Thank you, thank you to the lovely people who saw past the deteriorating shell and loved this beauty anyway. She’s got a new lease on life now. Even though I’m not a personal fan of the ornate Queen Anne (I couldn’t ever personally relax around that much pattern), it flows beautifully from room to room here. The kitchen is utterly stunning. I tip my hat to a sensitive restoration and once again thank you from the bottom of my heart for saving this beautiful old gal for the generations to come. The colors don’t look quite as brash in the Street View, though it’s great to be able to comment on paint and decor choices on a house that wasn’t so far from demolition a few years back. A real 10 year, stem to stern restoration too, not simply a cosmetic makeover. Bravo to the Leamans! WOW, this transformation is simply STUNNING! I can’t believe the price is as low as it is, with the obvious amount of work that it took to bring it up to this state of repair! I LOVE it, inside and out!!! Almost every detail on the exterior was brought back/kept to it’s original! That is a very impressive save on that. How can they sell this for only $350K? Did they get the house for free and do most of the work themselves? Hard to see how this only is worth $350K at this point. I know York doesn’t have the highest real estate values, but still. York is full of great and affordable houses. I like the town and would be willing to move there. But the schools seem to be less than impressive and my wife wasn’t fond of it for some reason, I think maybe because of the schools mostly. Regardless, a very nice house for sure. Colors look good to me, and I’m usually a less is more kind of guy. 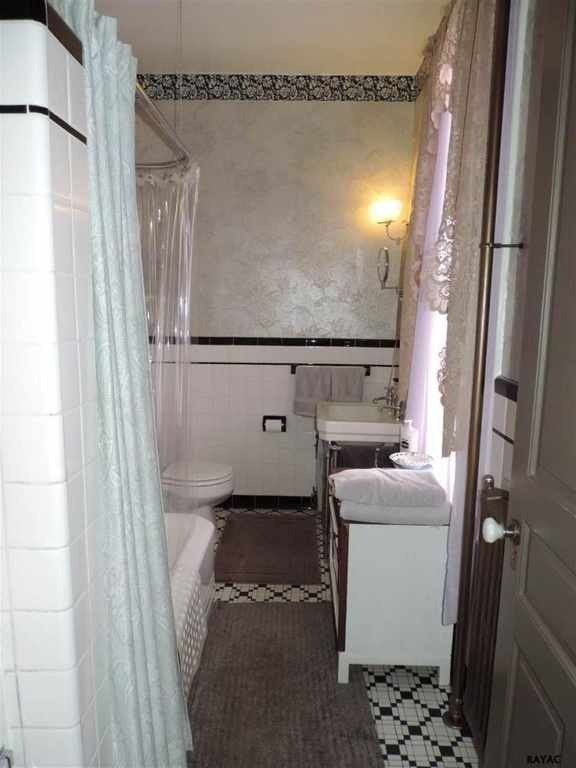 The wallpaper in the bathrooms looks a bit off though compared to the rest of the house and kitchen needs some help I think. But otherwise a nice looking house. 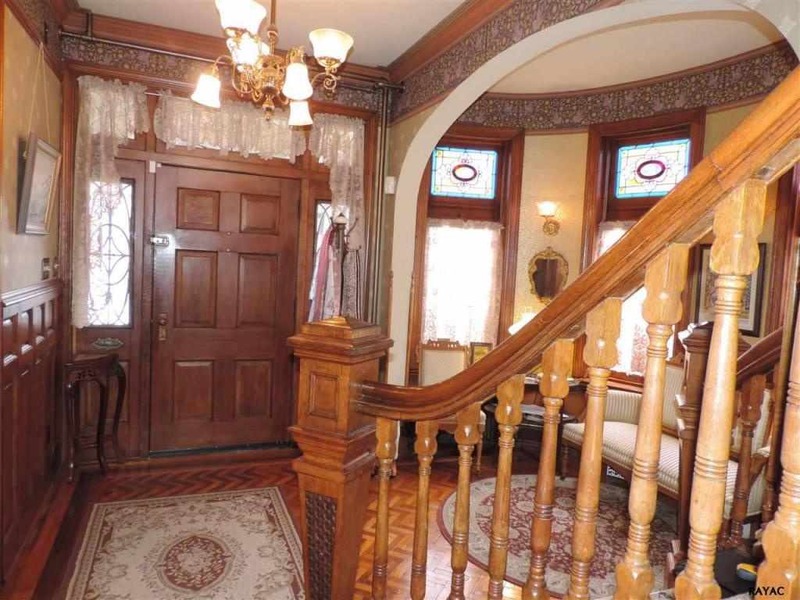 Another house, same period, bigger, but slightly less $’s. We did a drive by on this one a couple summers back, still for sale apparently. This house isn’t located in the best school district, York City. That being said if you can afford it I would send your kids to York Catholic which is a good school. If I had the money to buy this house that’s what I would do. Oh, I love the one you linked here! 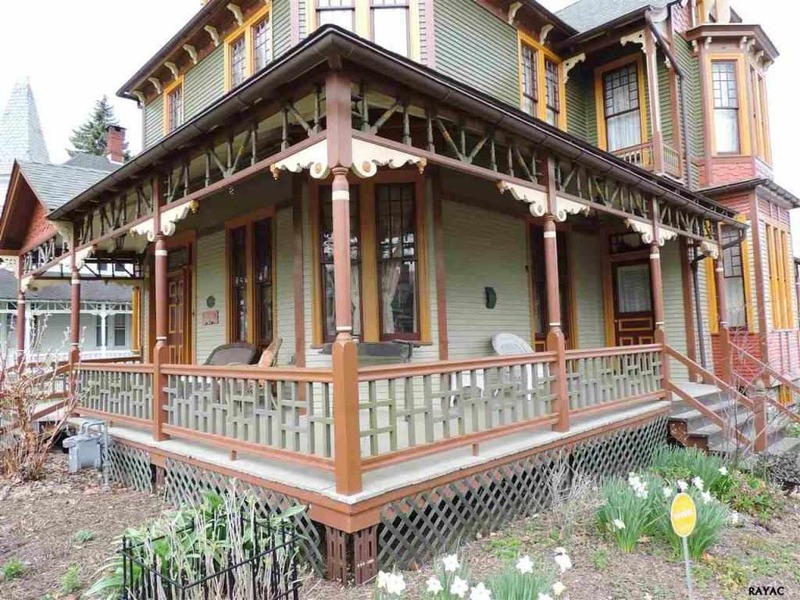 The wood and the carvings and the porch! Unbelievably, the house is still on the market, 2 years later and the price has dropped further, to $285,000. 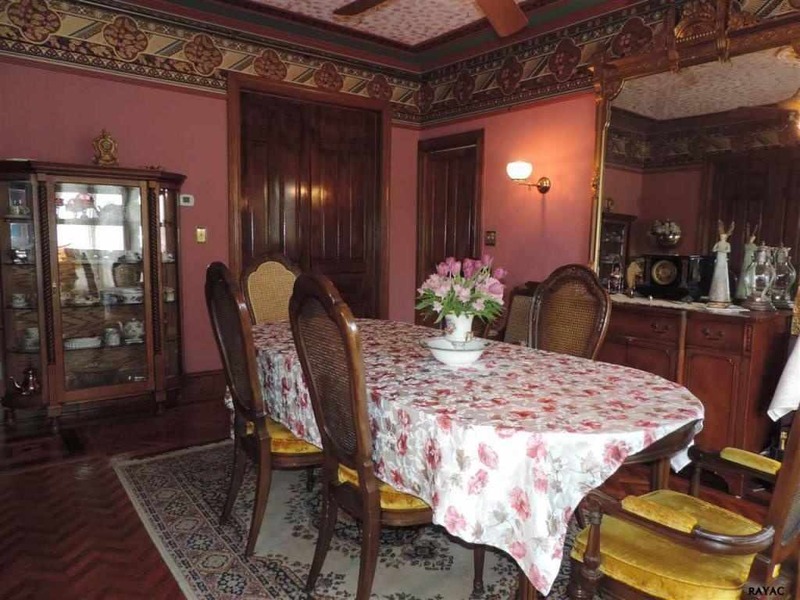 Hard to believe, as a house in that beautiful condition & of that size, would sell in the Boston area for over $1 million. So pleased to see a beautiful house saved from demolition. I think the exterior colors are excellent! Excellent example of a dedicated restoration. I do agree that the body of the house should be darker than the second floor but that’s minor given the excellent work done here. The point here is that neighborhoods, and houses, do not have to stay “bad”. It only take s one or two brave souls to come in and take the risk. Clearly looks like the whole neighborhood is coming back. 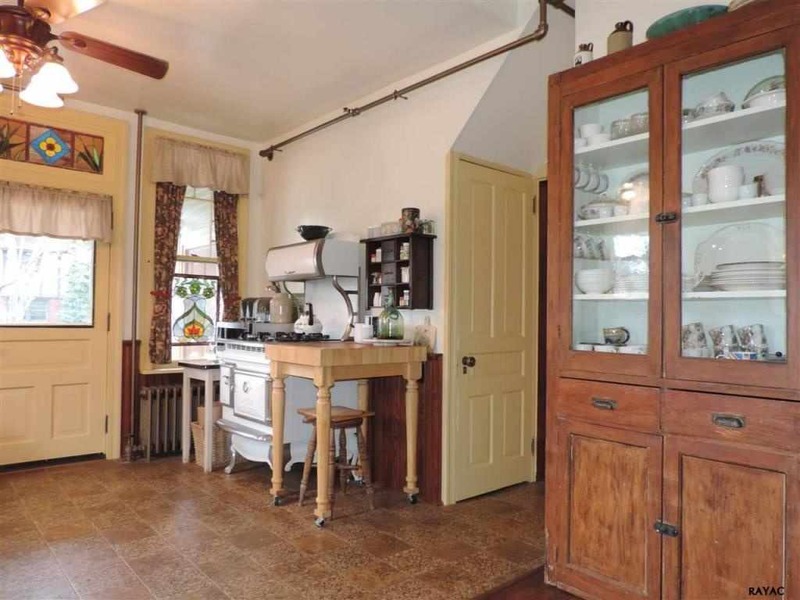 This is why people restore…love of old houses and a desire to try to get it right. I don’t think anyone who has done a really total restoration, in a neighborhood like this, will ever get back what they’ve put into the home, both labor and materials. “A labor of love” is just that and people who do them are a breed of their own and not in it to flip a house for profit. Whether we love or hate their decorating/paint choices, they deserve a huge praise for saving this beautiful home. 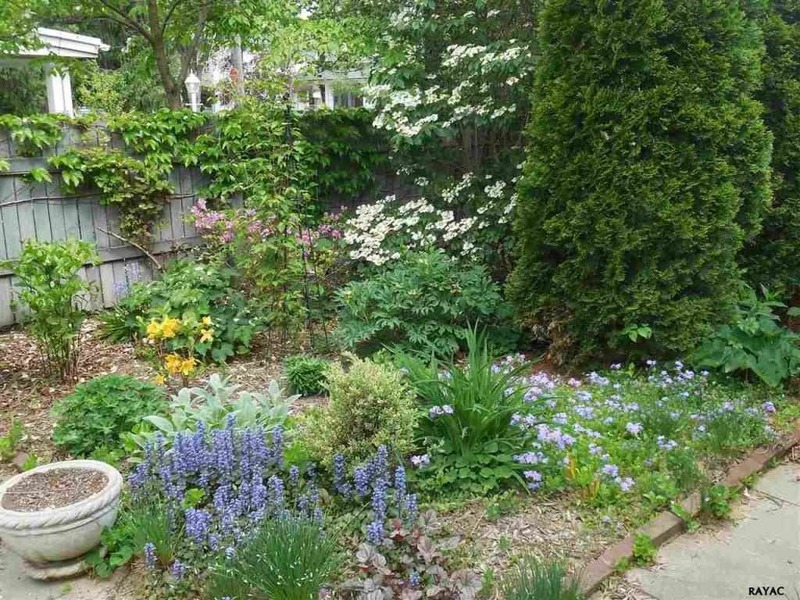 Even the landscaping wasn’t inexpensive and has enhanced the overall picture. Whatever the reason they’re selling, it must be with regret. An article stated they wanted to head to Utah in their RV. 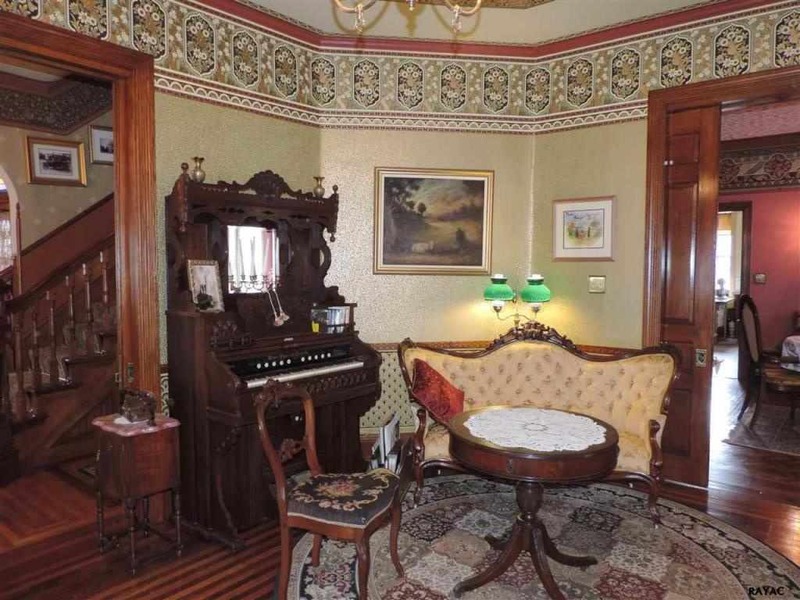 wonder if the roll top desk and the organ come with the home?? I think the colors on this look great! We’re deciding on colors for the 1900 house we just bought. Right now it’s a yellow/cream body with turquoise line trim, dark red fish scale trim, and black shutters (haha). Losing the shutters. Next door is a similar house with a bright green body and purple and yellow trim–and purple shutters (more haha) That house sort of limits colors for our house though. I realize that properly maintaining louvered shutters is a huge job, but I’d think twice about junking them if they are anything close to an original feature of your house…Of course if what you’ve currently got is tacked-on vinyl, that’s a horse of a different color. The house is a Queen Anne and I’m pretty sure they’re not original. I think it will look better without them. Some of them even overlap in the bump out parts of the house. Won’t be getting to the outside for a while, and the roof will be first so we’ll see. In a word “Stunning!” I am stunned. Absolutely my favorite of favorites. Next door also retains the plain white exterior colour scheme, so it makes for an interesting comparison seeing them side-by-side. Wow! What a work of love! Someone was lucky enough to have the time, patience, and endless money all at the same time to bring back this beautiful home! OMG amazing. They have lived my dream. 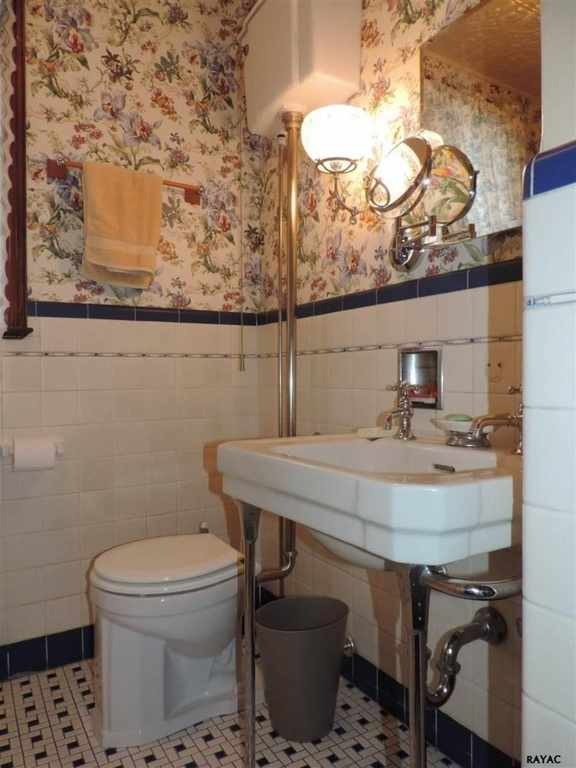 I think the only thing I would change would be to paint the exposed plumbing (appears to be a fire suppression system?) to better blend in with the base colors of the walls and ceilings they run against. Otherwise everything else is perfect! Truly a labor of love. 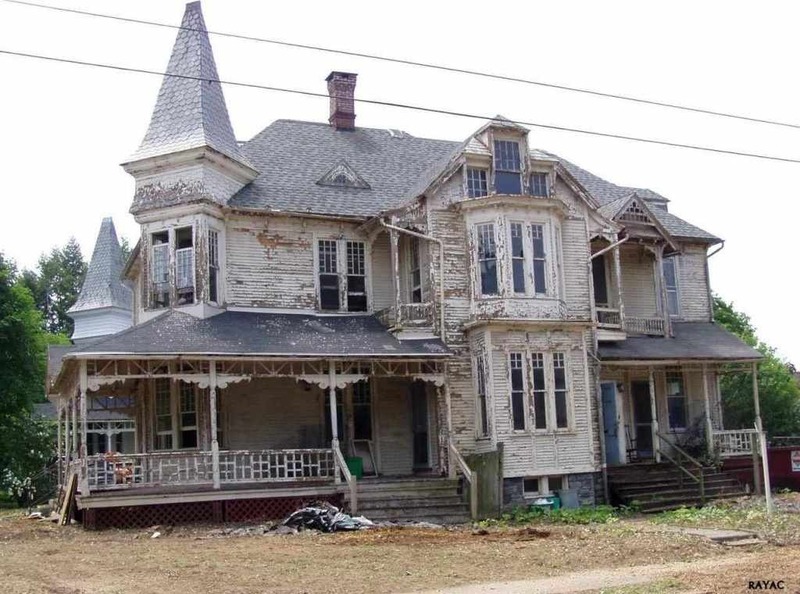 I hope they are moving on to the next house that needs attention and restoring. 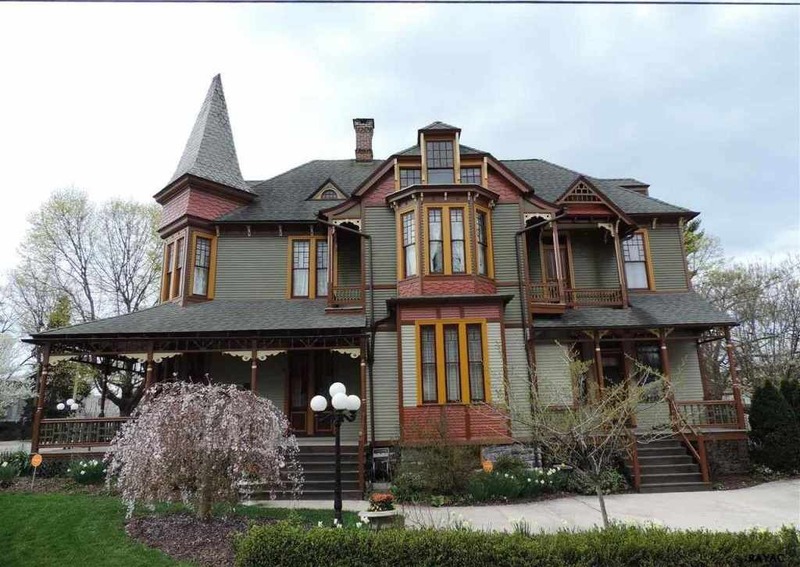 For those of you who don’t know York Pa, this is in a neighborhood that is very unique and has many amazing Colonial, Victorian, Craftsman, Tudors all in one central location known as “The Avenues”. 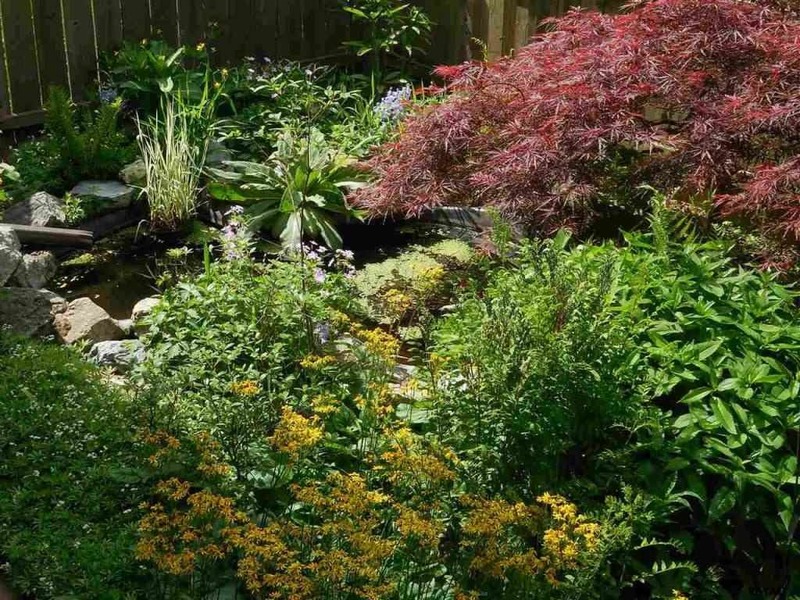 The owners who are to commended with starting the whole revitalization of this area are sadly looking to downsize while they retire and travel. I only know our neighborhood will miss them terribly. 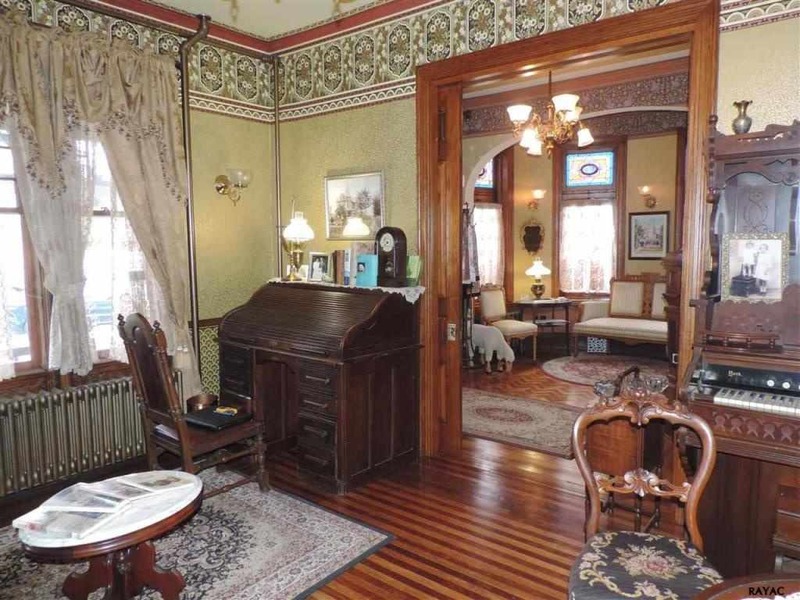 My partner and I have purchased the 1887 Victorian right next door, which happens to be the exact floor plan as this. 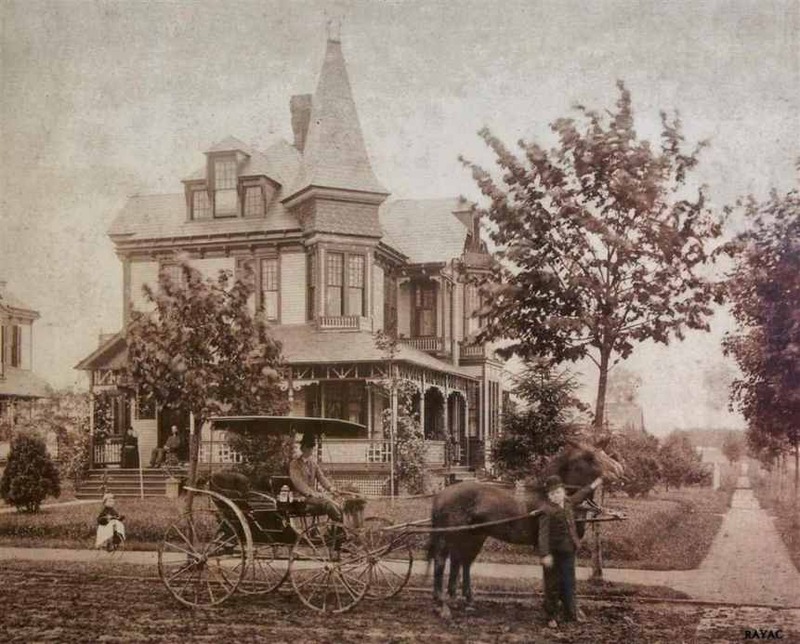 They were built side by side for 2 businessmen President and Vice President of the York company Hench and Drumgold, a farm equipment manufacturing company which was right down the street, but has been torn down. Our house which was vacant for ten years and turned in to 3 apartments, we are about to restore is in the same sad shape as their “before”, not as far gone as theirs, but all the same really deteriorated. Anyone who knows York knows, the taxes are high, really high and so many cannot afford to buy these gems to fix up,. because the taxes are higher than the average mortgage payment. That being said, we are about to begin our restoration journey and theirs coming to a close, we will never forget what they have inspired us to undertake and will miss them, as well as the entire neighborhood will as well. Thanks Jim and Jean. Also Kelly I love this site. Thanks for all the glorious old houses and stories from those who have bravely took on the impossible ,such as the undertaking we are about to embark on. I hope we do them proud? Thanks ChristianB for your comment. We’d love to know how you progress with your home, any chance you may start a blog or Facebook page with some updates now and then? Fantastic update! I am not sure I could have taken on such a project. The home is simply lovely and the exterior colors are divine. I have lived in central PA for nearly three decades and this area of York, despite the restoration, does not equate to the asking price. The crime of the York and lower income surrounding properties do nothing to elevate prices even on the most decorated homes. That is the harsh reality. 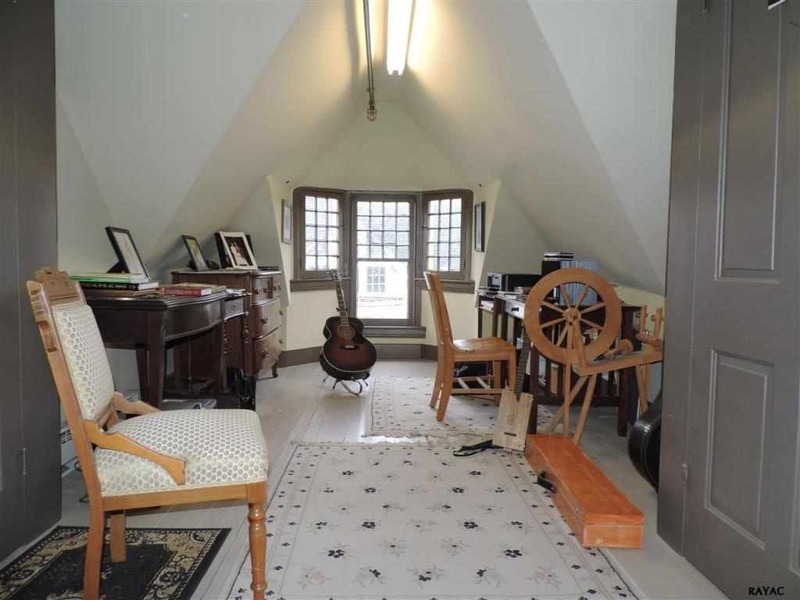 It’s such a shame as a home like this in the Boston area would fetch over $1 million. 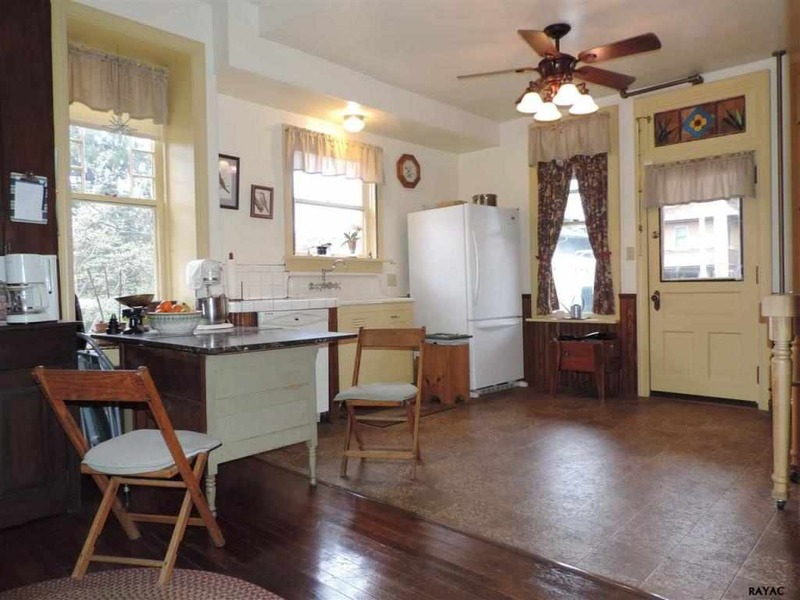 The current asking price of $285,000 is what a small cape fixer-upper goes for in this area. So sad the stewards of York have let the city go by the wayside. Wow, what a beautiful restoration! Kudos to those who put in the work, and envy for whomsoever ends up buying it. Bravo!!!! Not only did they save a house from demolition, they made it amazing! That kitchen is to die for! The colors don’t seem period-correct. They remind me all of the colors that became popular in the 1970s. The outside in a light gray or lightest butter yellow would’ve been better in my opinion. Glenn – You might want to consider moving to the US. 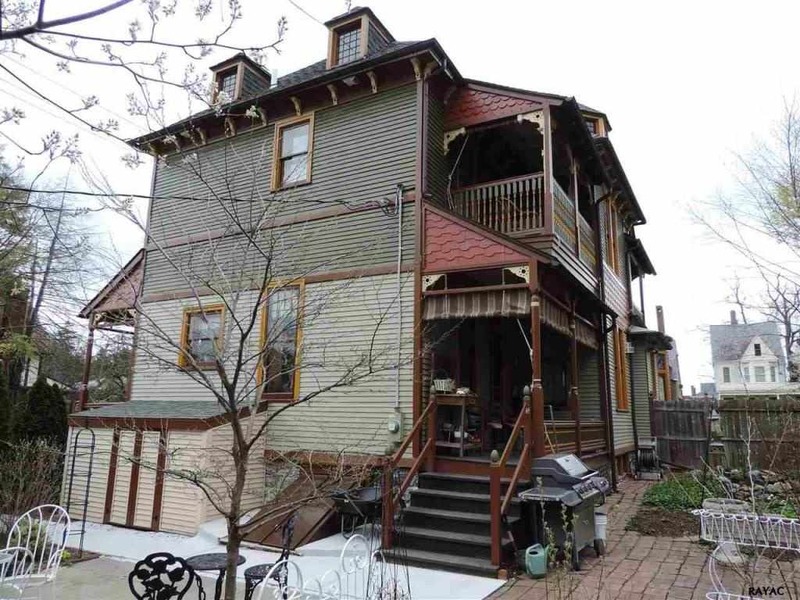 The price has further dropped to $285,000, which is an incredible steal! This is a bargain. It is beautifully restored. I love what they have done with it. 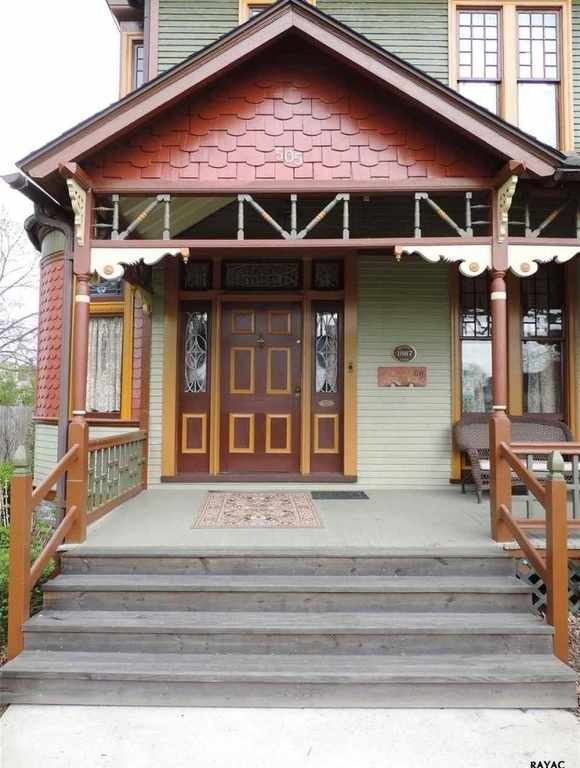 If this house was in Adams County it would be given an award for Restoration/Preservation. So much research went into it, selection of colors papers and all the work, someone is going to get a deal. Horray!…Somebody saved this damsel. Nice work. everywhere with NO success. Thanks in advance. Chinese Jimmy. If you are talking about the “Rushmead” (or Rushmeade) house in the pharmaceutical TV commericials, that’s a fake name. The house they show in the commercial is actually in Louisiana and is known as the Ardoyne Plantation and has its own website: http://www.ardoyneplantation.com/ The interior shots in the commercial are of another completely unrelated house-it’s whereabouts are unknown to me but its not the Ardoyne Plantation house interior. Restoring homes as I have, I know the time and love that goes into it, not to mention the work. You did a wonderful job I think. What a challenge you had, and you met it head on. 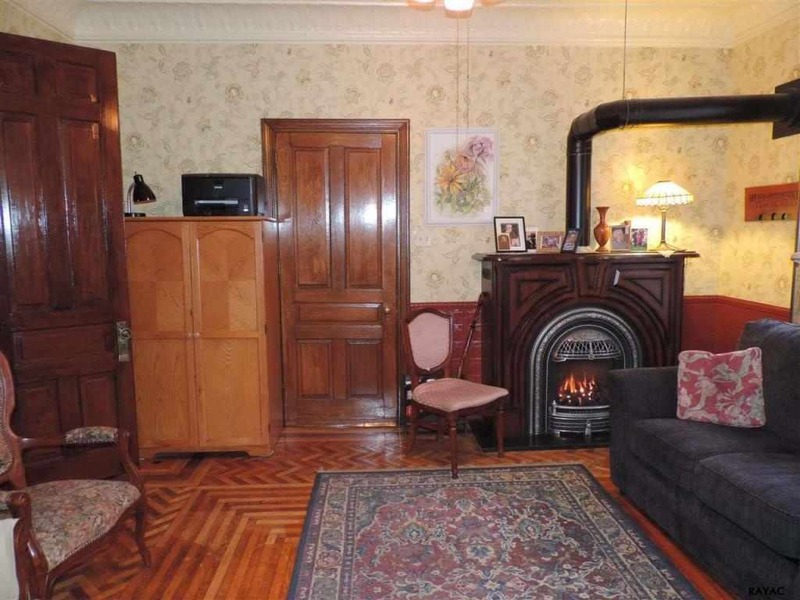 I am so happy you kept the radiators as so many people pull them out (which is a huge mistake, they are the best heat their is, expensive to install, but smaller heating bill. You are an inspiration to every other person restoring a home. Love it with all your heart and soul. want it. I want it.